I skipped last weeks Weight on Wednesday Post simply because I had a very rough week and was super busy at work! (I know, no excuses) However, I’m happy to report that I’ve lost 2 more pounds, and feeling quite slim. I’ve been very sore these last couple of days but I’ve really tried to improve my form when doing Zumba and push myself a bit harder. I am a bit concerned though because I’ve noticed I’m a lot tired lately, and I can’t figure out why. Hopefully, soon I will get it together! In the meantime my husband has been cooking some fabulous healthy meals. I have been rather spoiled with my husband’s meals lately! 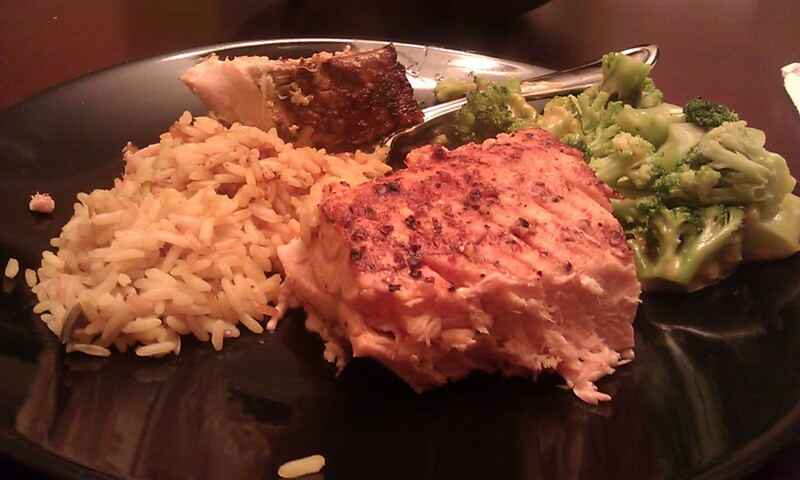 Im typically not a fan of Salmon however he cooked it in a way that it was delicious! He steamed one piece, and baked the other with some spinach sauce on top. 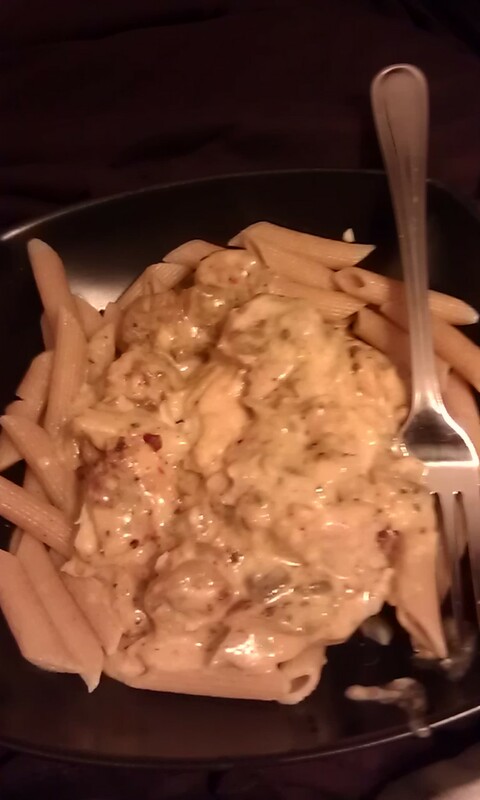 The Pasta dish was fantastic because instead of drenching the pasta in Alfredo sauce, he seasoned the tilapia and shrimp and added the alfredo sauce to the meat that way it wasn’t saturated in the noodles! The What Noodles filled me to but not to a point where I felt stuffed!!! Can we say delicious! 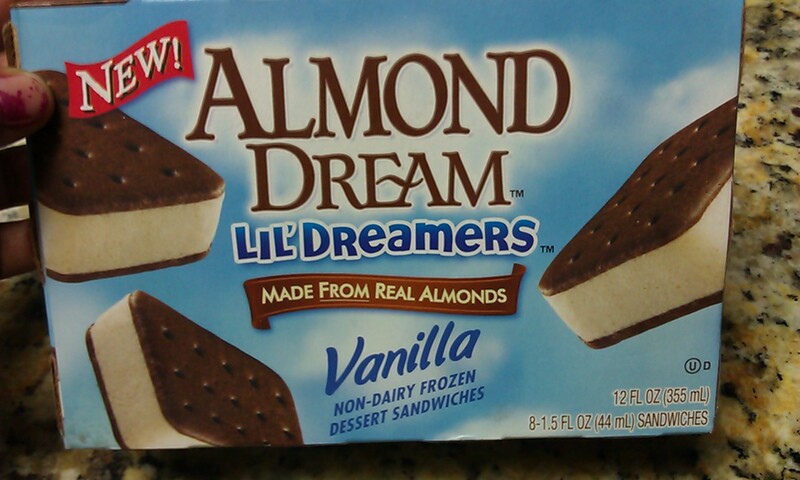 The Crackers, 18 are only 140 calories, then the Almond Dream Bars, while they are small, 1 equals 100 calories and keeps my sweet tooth at a distant! 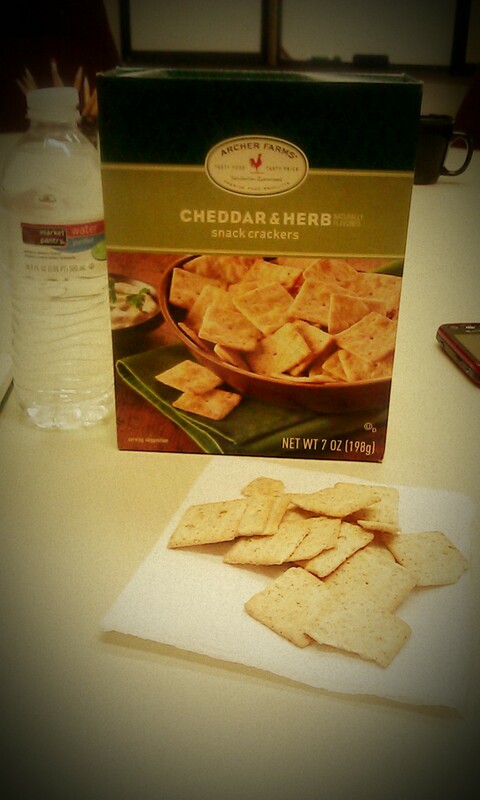 I just found out about the crackers, and Dr. Oz recommended the Almond Bars! Both great choices you should try! It isn’t about giving up things, it’s about having them in moderation!!!!!! What snacks do you recommend that are delicious? How is your weight loss coming along? Keep trucking and staying motivated! You’ll get there and so will I! I recommend all the snacks that I like. No, just kidding. I enjoy the Nature Valley 100% Natural Granola Thins Crispy Squares they come in two flavors, peanut butter and chocolate. I also enjoy Fiver One 90 calorie chewy bars and they come in several flavors. Both of these snacks are great for in-between-meals. I just want to eat them all day, but I don’t.